The worry over hepatitis C and other viruses spread through shared needle use means that sometimes organs from drug-addicted donors are discarded. Now NPR science correspondent Richard Harris reports that doctors are finding ways to use infected organs safely. RICHARD HARRIS, BYLINE: For many years, Mike Caldwell rehabbed concrete floors without a facemask, breathing in cement dust, hazardous chemicals and his own tobacco smoke. MIKE CALDWELL: About seven years ago, I started getting sick. I couldn't breathe. HARRIS: The Kingston, Mass., resident had chronic obstructive pulmonary disease. An oxygen mask kept him alive though eventually he couldn't even climb the stairs. He got onto the list to get a lung transplant. CALDWELL: I was waiting for the lung and waiting and waiting. And I needed a double lung transplant. HARRIS: Three years went by. Then in the spring of 2017, a researcher in Boston approached Caldwell and asked him if he'd consider enrolling in a clinical trial. He might end up getting lungs from a donor who had been infected with hepatitis C. If so, he would also get a course of antiviral drugs that can block transmission of the virus. CALDWELL: I had to think about it. It wasn't a decision overnight. HARRIS: But in the end, the risks seemed manageable certainly compared with the possibility of dying while still waiting for a suitable donor. CALDWELL: I really had nothing to lose at that point in time. HARRIS: Just a few weeks after he had agreed to participate, he got lungs from a donor who had been infected with hepatitis C. Now 59 years old, Caldwell says he's doing fine. What does it feel like to be able to breathe again? CALDWELL: Oh, heck, it's like - and before it happened, I couldn't even think about doing something without running out of air. HARRIS: He's among 44 patients reported now in the New England Journal of Medicine who had heart or lung transplants from infected donors at Brigham and Women's Hospital. Dr. Ann Woolley, a transplant infectious disease specialist who organized the study, says the challenge has not simply been medical. Two-thirds of the donors with hepatitis C were recent drug users, including people who died of overdoses, raising concerns about the quality of their organs. I caught up with Woolley when she was at an airport. ANN WOOLLEY: I think that is a stigma that's very much widespread. And fortunately that pendulum is starting to swing of people being able to understand that that doesn't necessarily mean that their organs are not good quality. HARRIS: In fact, she says, the organs accepted for transplant meet the same high standards as any donation. And the outcomes she now reports are encouraging though currently limited to just six months of follow-up. WOOLLEY: It's also been very exciting because we've had a hundred percent success rate in - both in terms of the hepatitis C clearance as well as how well the patient has done after transplant. HARRIS: And Woolley says given the sad reality of the opioid epidemic, these organs have become common in the past few years. WOOLLEY: Over a third of all of our heart and lung transplants that we've done at our center have been from donors who have hepatitis C.
HARRIS: There have been similar small studies showing successes with kidney and liver transplants. Adnan Sharif, a kidney transplant doctor at Queen Elizabeth Hospital in Birmingham, England, says there's some risk that organs from this population could also transmit hepatitis B or HIV. But that's manageable as well, he says. 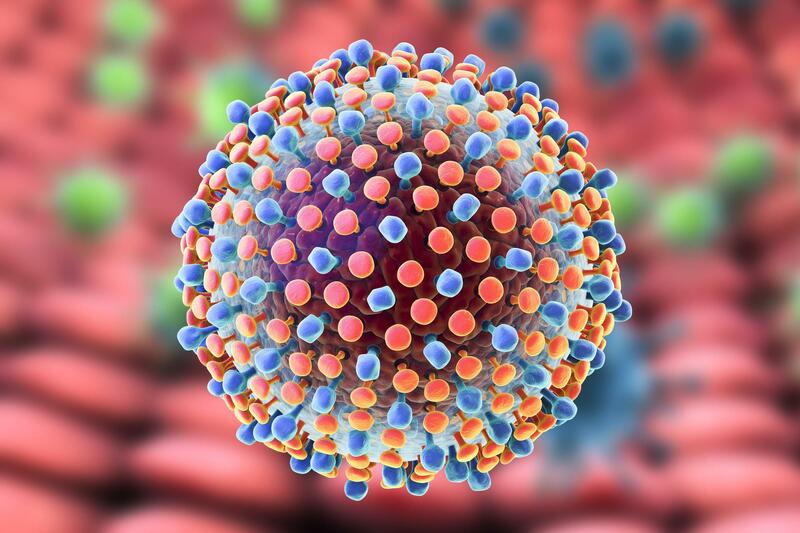 And the new drugs to treat hepatitis C make a huge difference. ADNAN SHARIF: I don't think there's many people who doubt that, you know, these drugs are effective. We could increase the pool of these organs. And I think the real question really is with regards to the financial reimbursements. HARRIS: So he's encouraged to see that the transplant team in Boston was able to block transmission of hepatitis C with just four weeks of treatment with these expensive drugs. That's much less time than it takes to treat someone who is being cured of hepatitis C infection, and it can potentially save tens of thousands of dollars. Richard Harris, NPR News. Transcript provided by NPR, Copyright NPR.